For the first time ever, more people have accessed Internet via mobile than desktop, signifying a pivotal change in the way we will consume content, going forward. The world of mobile devices have expanded drastically over the years, almost simultaneously as the Internet reached out to more people across the farthest corners of the world. 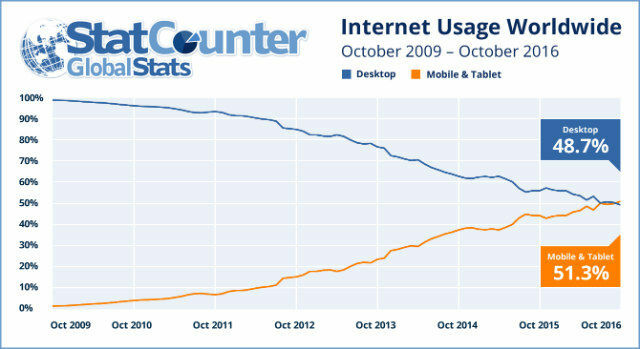 Now, for the first time ever, we may have seen a tipping point in the scales where the number of users accessing Internet via mobile devices have exceeded the number of users accessing Internet via desktop PCs. Internet monitoring firm, StatCounter, has published a report showing the combined number of users accessing Internet from all platforms, with mobile Internet users accounting for 51.2 percent of the total users, against 48.7 percent of users accessing Internet via desktops. This marks an important juncture for technology on a number of terms. For one, it signifies the already apparent change in the way people are consuming content. The world is gradually shifting towards a mobile-first approach, but a definite shift for the entire world towards mobile devices is not just around the corner. Secondly, publishers still focus on desktop as the prime medium of generating and sharing content, and a majority of Internet users based in developed nations still access Internet from desktop. Thirdly, the growing reach and affordability of the Internet in emerging markets is playing a major role in the increasing number of mobile Internet users in the world. The stark difference in statistics between emerging and developed nations exemplify the impact that affordability of faster mobile data is having around the world. For instance, users in developed nations have been used to stable network connectivity and the presence of desktop computers for a long time. 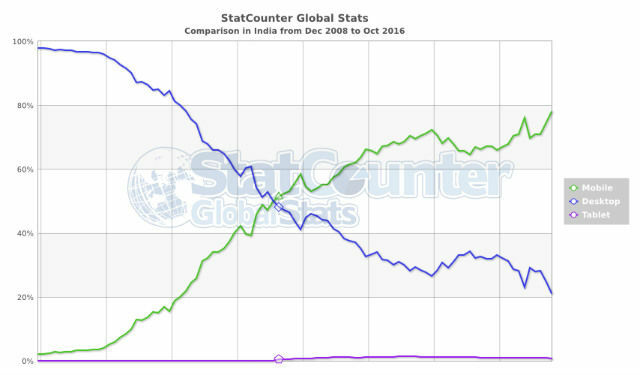 As a result, although the graphs do show mobile Internet usage inching closer to desktop in such countries, it will take longer for mobile internet usage to surpass desktop. 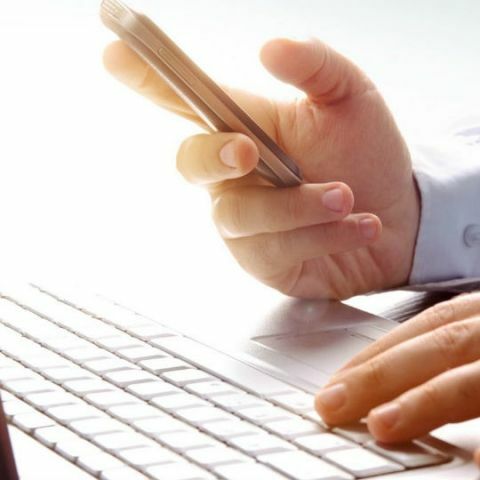 For an emerging country like India, the technology boom and wider viability of Internet started spreading much later, and the affordability of connected mobile devices played a crucial role in bringing internet connectivity to rural areas and users who skipped the era of desktops. As opposed to developed nations, 75% of India’s Internet usage is from mobile devices, with urban areas showing significant Internet access from desktop. As we gradually move to a mobile-first world, this statistic marks an important tipping point in the way we consume content and browse the web. Mobile devices are fast fitting into urban lifestyles, and what remains to be seen is by when developed nations move to a mobile-first content consumption format. which is the best mobile of 2014 has best battery backup? What are the main features of chrome book ?